When the going gets tough... JK Towing gets you going! When you think you're out of reach, we can probably still reach you. ​We can provide serious off-road pulling power wherever you are! 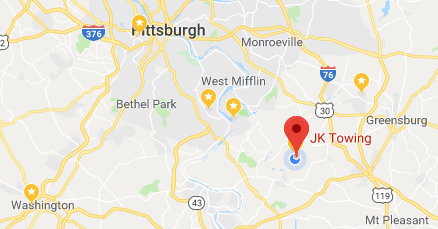 With JK Towing you're never out of reach! JK Towing got this truck back on track. When 75 feet of winch line isn't enough we may still be able to supply enough tractive effort to get you back on the road. Give us a call or text us a few pictures​ of your situation and see what we can do! JK Towing found a truck in the middle of this picture! JK Towing & Pidich team to keep one from rolling!